Land of Kam also in Siberian lands refers to the Land of God, of the sacred, of the shaman. Kam is the title for the shaman all over Siberia (but especially with the Altaians) and the shaman was in ancient times the preeminent sacral ruler for their tribal societies and chiefdoms (see Shamanism in Siberia). “i” as the suffix to Japanese equivalent word – Kam-i or Kam-uy (Ainu borrowed usage from solar worshipping later immigrants? ), therefore may also point to an original and now-forgotten meaning “deity or god of Kam”. Crown prince, princely ruler, prince, sacred or shamanic prince (the shaman is also called the kam) – see Ashina or Ashina royal clan lineage usage, while Michael Witzel proposes that the name Cambyses, may originate as a title given to the Persian crown prince. Khan – Mongols and Xianbei… the title Khan was also common in some of the polities of the various – generally Islamic – peoples in the territories of the Mongol Golden Horde and its successor states, which, like the Mongols in general, were commonly called Ta(r)tars by Europeans and Russians, and were all eventually subdued by Muscovia which became the Russian Empire. Khan was also used in the Seljuk Turk dynasties of the near-east to designate a head of multiple tribes, clans or nations, who was below an Atabeg in rank. Jurchen and Manchu rulers also used the title Khan (Han in Manchu) and “han” appears in Japanese language as the word for fief and for group units; for example, Nurhaci was called Genggiyen Han. Rulers of the Göktürks, Avars and Khazars used the higher title Kaghan, as rulers of distinct nations. Possible relationship to Hebrew and Khazaria??? As used by the Pashtuns the name is claimed to be related to the Hebrew name Cohen or Kohen. We are reminded that in the Pashtun language, khan was originally pronounced as “khun”. In the Japanese language, we still have “kun” as a possible derived suffix to names for little or young boys (relic usage of name formerly reserved for princes) and many “Kan” surnames. Note that the Turkic word for god is Tengri, it exists as Tanrı in Turkish. It is in some cases used interchangeably with “Allah”. Derivation: the Hittite word for “god” can be written ši-ú-na or DINGIR. One of the culturally intriguing aspects of this text is the god DSiu-summin “our god,” or “Our Sius,” a god who appears nowhere else in Hittite texts. The word sius, which is otherwise the generic word meaning “god,” is derived from Indo-European *dyeus, the father god of the sky. Anatolian speakers seem to have brought the worship of this god into Anatolia, since cognates exist in the other Anatolian languages and refer to a solar deity. It is not entirely clear whether the expression is to be translated as “our god” or “Our Sius”, though the age of the text and the fact that the noun sius is twice found with an enclitic possessive pronoun in a combination that has undergone an archaic sound change, suggest that the latter interpretation is possible. Although neither Anittas nor his father Pithanas bore an Indo-European name, the struggle over possession of the god’s statue might indicate that they venerated a god of Indo-European origin. This may suggest that the people later known to us as Hittites were an ethnically mixed group of speakers of an Indo-European language and indigenous Hattic inhabitants of Anatolia. From the names below, it might be surmised that the Hattic peoples used ‘I’ as a pre-fix to a deity’s name (suggesting affinity to ancient Iranic or early Aryan origins of the Ainu and derived Indo-Sakka or Xiongnu Japanese languages. 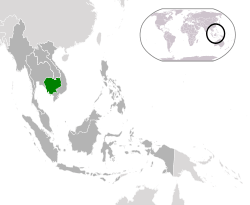 Scholars like Casey suppose that Kambuja lineage of the ruling family of ancient Cambodia originated from their legendary patriarch figure called Svayambhuva Kambu. 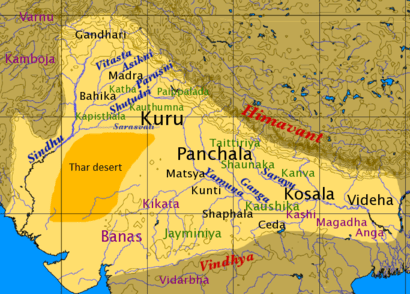 According to Casey, “Kambuja” is etymologically deived from Kambu+ja, where ja in Sanskrit is said to mean “son or descendant”. Hence, Kambujas means “descendants of Kambu. By extension, we could argue that Kam-i or Kam-uy would then mean son, prince, etc. of Kam (God). In Japanese royal mythology, we are reminded that we have Izanagi and Izanami, which we might see in the same light. Isa is a title given to princes, rulers of the Ashina and Khazarian Turks, and occasionally used in Arab-Islamic names. The word Isa appears in the name Isa Tomomune is the founder of the Date family clan who originally came from the Isa district of Hitachi Province (now Ibaraki Prefecture), and who was a descendant of Fujiwara no Uona (721-783) in the sixteenth generation.